ONCE upon a time, there was a kingdom in Lombok. The king had a very beautiful daughter. Her name was Princess Mandalika. She was very beautiful; many young men fell in love with her. Princes from all over the place wanted to marry her. One by one, they came to propose her. 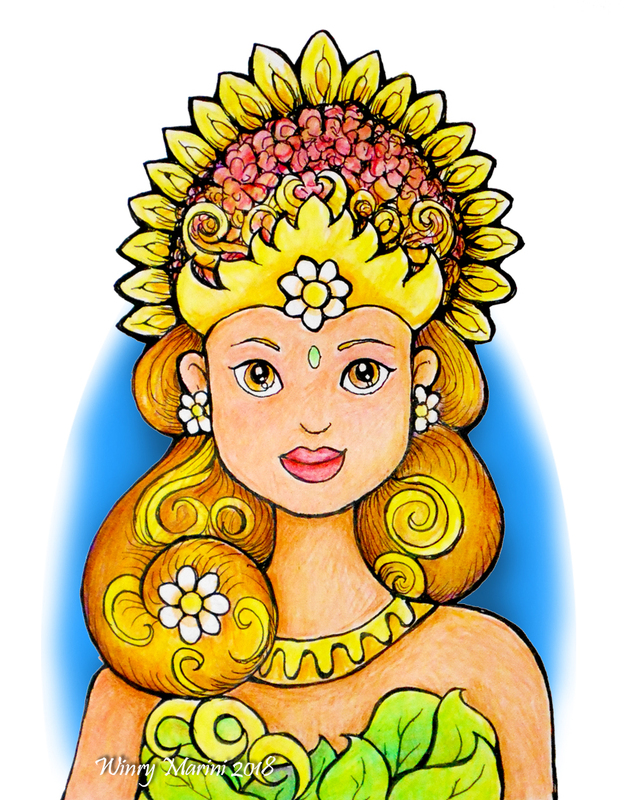 Princess Mandalika was a kind girl. She hated to make people sad. So, when those princes came to propose her to be their wives, she was very confused. She could not decide, and she also did not want to make them sad. The king then held a competition at the Seger Kuta beach, Lombok. He asked all the princes to take part in an archery competition. The rule was simple: whoever shot the target perfectly, he could be the husband of his beautiful daughter. One by one, all participants tried their best. They all wanted to be the winners. After several times, there was no winner. All the participants were great. Those prices were great at archery. Because there was no one a winner, then they started to argue. They claimed to be the best. The argument was getting hotter and hotter. Finally, they all were fighting. Soon, the fighting was bigger. It was like a war, because all princes brought their soldiers in the archery competition. Princess Mandalika was really worried. She did not want the war to get bigger and hurt many people. Finally, she had an idea. "Everybody, listen up! I know you all love me and want me to be your wife. But I can't be all your wives. I don't want you to fight because of me. And I don't want you to be sad either. I want you all to have me, but not as your wives. I want to be someone that everybody can have. I want to be useful for you. I want to be nyale that you all can enjoy together," said Princess Mandalika. The king and all other people on the beach did not understand what she meant. The king then came to her. But before he came closer to his daughter, Princess Mandalika jumped to the sea. She was disappeared in the big waves. It was chaos on the beach. People were screaming. All the princes tried to swim to find the princess. But no one dared to jump in the sea, the waves were too high. After several hours trying to search the princess, suddenly they found a lot of sea worms on the beach. The king then realized that his daughter had returned as sea worms. Later he named the worms as nyale. Bau Nyale… Lombok’s Unique Festival. One of Lombok’s most important and popular festivals is Bau Nyale, meaning “to catch the sea worms” in local Sasak language. It is a cultural tradition, deeply rooted in local legend and drama, and unique to the island of Lombok. 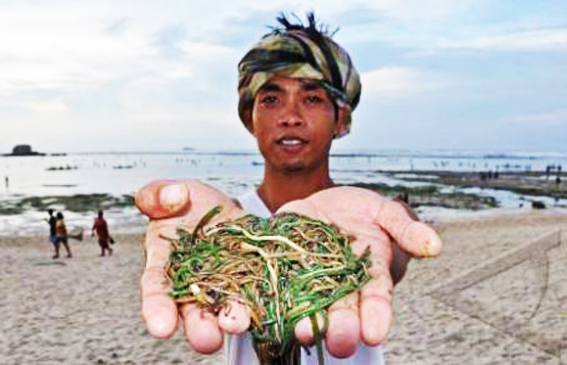 The sea worms are a rare variety of Palolo worm (Eunice viridis) found in tropical waters in certain parts of the world and in Lombok, Sumba and Savu in Indonesia. Once a year, when seasonal, marine and lunar conditions combine, the Nyale come to certain beaches around Lombok to spawn and, for a few days, the seas are filled with wriggling sea worms in a variety of colours, ranging from simple brown or pale cream to red and green. Bau Nyale, or the Nyale Festival, takes place every year in the tenth month of the Sasak calendar at a time close to the full moon, and was celebrated this year on 14 and 15 February on the south coast beaches of Lombok. The most popular site for celebrating Bau Nyale is at beautiful Seger Beach near Kuta; an area called Putri Nyale (Princess Nyale) by the people of Lombok.